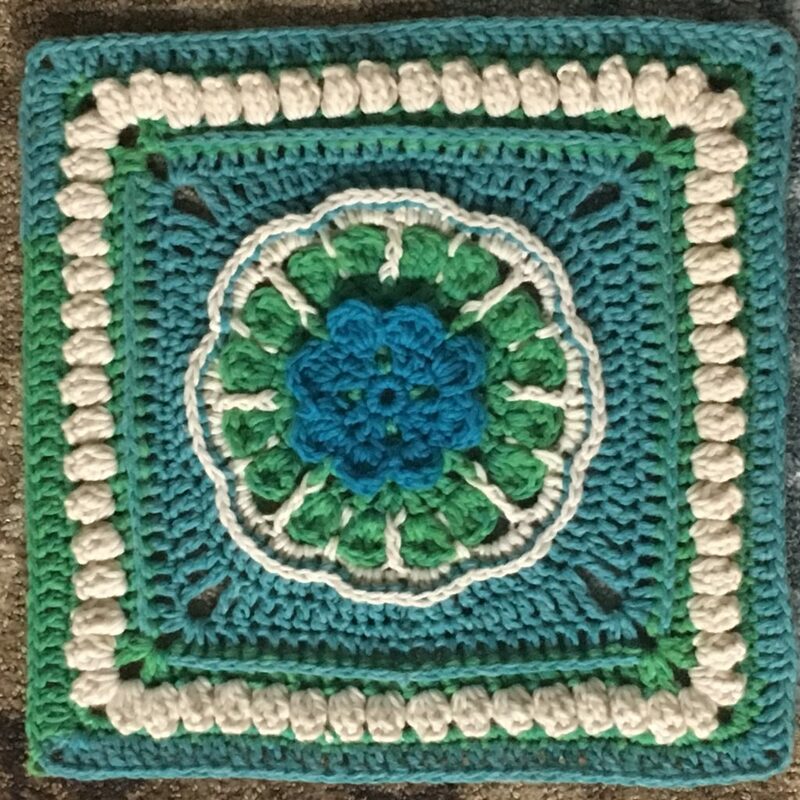 Welcome to Week 11 of our 2019 Block of the Week Crochet Along. I am pleased to see so many of you chatting and sharing photos on my Ravelry board and my Facebook Crochet-A-Long group. Feel free to jump in any time. Please use hashtags #BAWJ2019 and #crochetalongwithJulieanny. This week we have a fast and easy square from Jacqui Goulbourn named Mistley Square. Mistley has some of the things I love most – a floral center and lots of popcorns. These are nice fat 5 stitch popcorns, too. Love ‘em. Jacqui (tiggerbee) is a long-time promoter of afghan squares as the moderator of Ravelry’s Block a Month (BAMCAL) board for many years, and is a prolific crocheter and designer of such unique and compelling squares as On the Huh and Alter Ego. I love the way her mind works! Jacqui is offering Mistley as a free Ravelry download. Thank you, Jacqui, for this fun addition to our crochet-along! Be sure to check out Jacqui’s website, catkitbob.com.